Kansas City Royals pitcher Yordano Ventura and former MLB infielder Andy Marte died Sunday in separate car crashes in the Dominican Republic. They were 25 and 33 years old, respectively. Both played in the Midwest League. 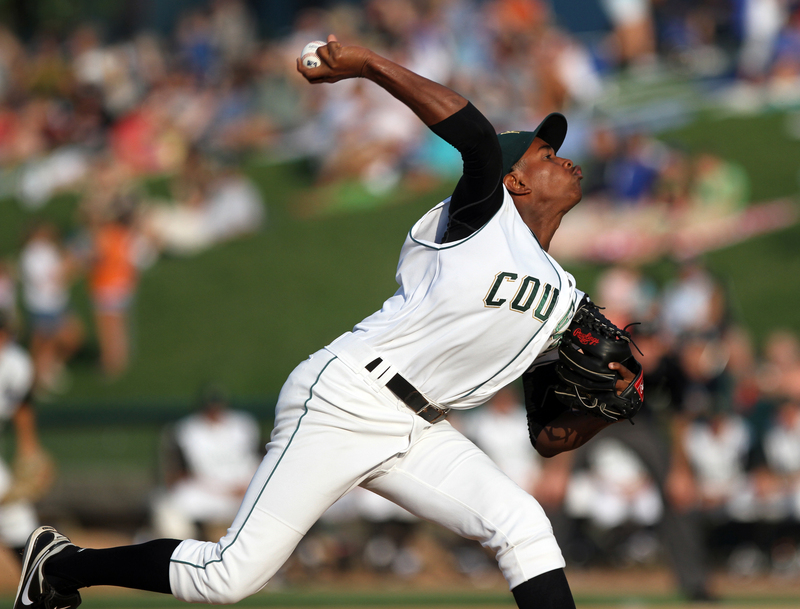 Ventura spent the 2011 season with the Kane County Cougars, who were affiliated with the Royals then. He went 4-6 with a 4.27 ERA, 88 strikeouts and 24 walks in 84.1 innings (19 starts). Ventura made 93 starts and one relief appearance for the Royals at the big-league level, going 38-31 with a 3.89 ERA, 470 strikeouts and 211 walks in 547.2 innings. He also pitched for the Royals during their postseason runs in 2014 and 2015. Marte played only one MWL game — a rehab appearance with the Lake County Captains in 2010. He played third base and went 2-for-4 with a walk and two runs scored. Marte played parts of seven seasons in the major leagues — five with the Cleveland Indians and one each with the Atlanta Braves and the Arizona Diamondbacks. He batted .218 with 21 HR and 99 RBI in 308 MLB games. This entry was posted in Kane County Cougars, Lake County Captains, Midwest League. Bookmark the permalink.